Congestive heart failure—often simply called heart failure—is a common and potentially deadly medical condition. Millions of Americans suffer from heart failure, and over half a million new cases are diagnosed every year. Fortunately, there are effective medical treatments for heart failure; our experienced cardiac consultants are available to help afflicted patients manage their condition. Contrary to what many people assume, “heart failure” does not refer to the total stoppage of the heart; it just means that its proper functioning is impaired. Specifically, the heart becomes unable to pump a sufficient quantity of blood to the rest of the body. 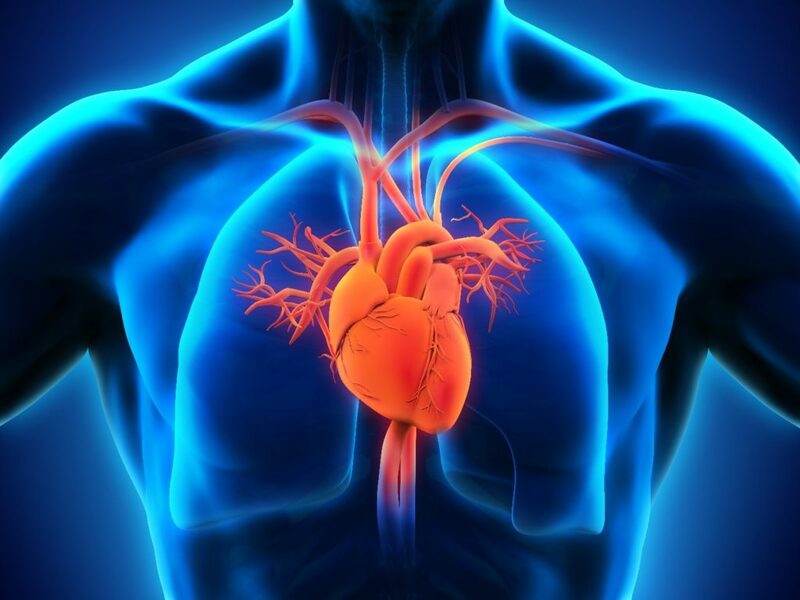 As a result of the weakening of normal pumping action, the heart compensates by becoming enlarged (due to stretching), pumping faster, and/or developing additional mass. These changes to the heart’s function fail to correct its fundamental impairment, however. Left untreated, heart failure gets progressively worse, which results in growing physical discomfort to the sufferer. Advanced heart failure often has fatal complications. Heart failure is generally classified in one of two types: left-sided and right-sided. Left-sided heart failure occurs when the left ventricle, which is primarily responsible for the heart’s pumping action, must work progressively harder to pump an adequate amount of blood. Right-sided heart failure occurs when the right ventricle gradually loses pumping efficiency, causing blood to back up in the veins. This often happens due to the prior development of left-sided heart failure. In many cases, the patient suffers from both left-sided and right-sided heart failure. This is known as biventricular heart failure. Fluid retention (edema) – The legs, ankles, and/or abdomen may become swollen due to inadequate amount of blood being pumped through the body. Anyone who is experiencing multiple symptoms from the above list should seek medical attention. In addition, patients who have suffered a heart attack in the past are at increased risk for developing heart failure. A history of drug and alcohol abuse also places the patient at risk. Kidney disease is another possible cause. It is possible to live a normal life with heart failure, but sufferers must seek treatment from a qualified medical professional to ensure that they can manage their condition properly. If you believe that you are experiencing the symptoms of heart failure, please do not hesitate to contact our Lake Sumter location in The Villages, FL. Our doctors are among the top 1% cardiologists in Florida.